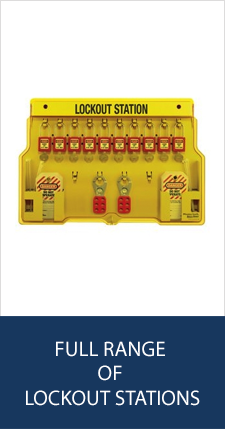 Lockout kits allow you to shut off a specific device or piece of equipment, which is usually necessary at times where an energy source needs servicing or repairing. At Work Safety Solutions, we supply over thirty different lockout kits for this purpose. What is a Lockout Kit? A lockout kit allows you to isolate the energy source and stop it from being switched on, discontinuing all operations until removed. This can otherwise be difficult for specific energy sources, particularly ones involving electrical equipment and valves. As part of these kits you will find lockout-tagout (LOTO) or lock and tag essentials in order for you to carry out the safety procedure to shut off any machinery. This works by locking the isolated power source, and placing a tag on it, which should identify the worker who placed it there. How is a Lockout Kit Used? It is vital that once locked, the worker who carried out this procedure should hold the key for the lock. This means that this individual has the sole responsibility to remove the lock and start the machine again. This avoids any accidents, whether someone is completing repair and maintenance work on the device, or if the machine is in a hazardous state. Lockout kits are used across a wide range of different industries as the best safety method when working on potentially hazardous equipment. In the UK, regulations regarding employer responsibility are set out in The Health and Safety at Work Act 1974, The Electricity at Work Regulations 1989 and the Provision and Use of Work Equipment Regulations 1998, using Lockout Tagout is considered to be best practice worldwide. What is the Procedure for Using Lockout Kits? 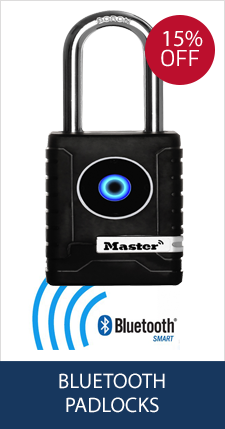 It is a common feature to have a lockout kit that is brightly coloured in order to maximize the visibility, making it easy for workers to see when a device is isolated and locked out. 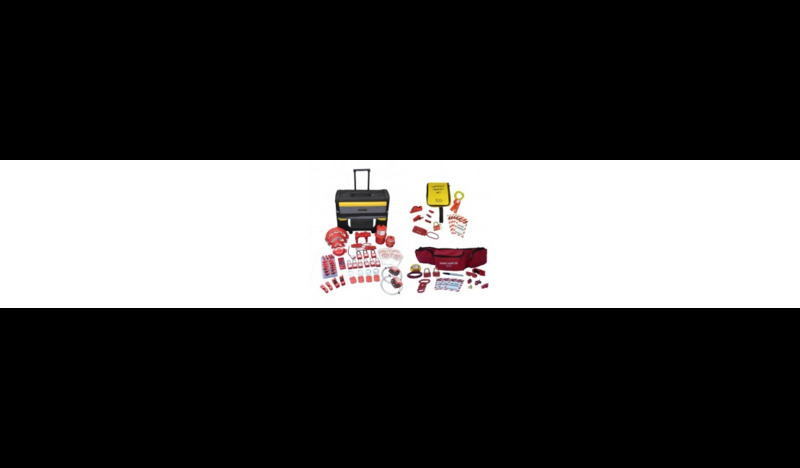 Most of the lockout kits at Work Safety Solutions are red, with some elements of yellow. They are also designed and constructed so that it can’t be removed using moderate force, so it will be clear should any device be tampered with by anyone. Our lockout kits are available from just £34.20 (including VAT) as a starter kit, and are available at various price points, up to £538.80 (including VAT) for the ultimate lockout kit. We also stock a range of different pouches, carry cases, toolboxes, and organisers for lockout kits. If you would like more information about our range of lockout kits, please contact us by completing the form, or by emailing us at info@worksafetysolutions.co.uk. Alternatively, you can call us on +44 (0)1494 445774 to speak to a member of our team directly. We will be pleased to help you with any questions you may have for us.